Just wondering what everyone else is doing under similar circumstances? Â Stop infusion for 5 minutes,Â discard 10ccÂ and then draw PTT? Flush port with saline, discard 10cc and then draw PTT? 1. Mayo DJ, Dimond EP, Kramer W, McDonald KH. Discard volumes necessary for clinically useful coagulation studies from heparinized Hickman catheters. Oncology Nursing Forum. 1996;23(4):671-675. I would draw from a double lumen picc, but possibly not a single. I don't think you can eliminate drawing from even a single depending on the patient status. I would certainly turn off the infusing fluid for 3 minutes, then waste 10 cc. If you doubted the validity of the result you obtained, a good idea would be to draw a sample in this manner and a peripheral and see how close they were. 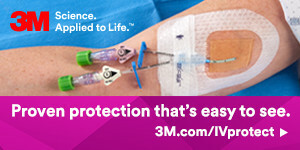 I think most of the new picc materials don't absorb meds as much as the old catheter materials used to. I know we have drawn drug levels even from the port where that med had been infused and saw no variation from the trend of the levels. I think it may be the best option for the patient, although not always will it be. I would be consistent about however you draw it, no matter which route you chose. I have the same question as this is a common question I get from staff. Lynn, do you know of any more recent studies that looked at this practice (drawing PTT from lines that had Heparin infusing through them)? Please note this original discussion is at least 12 years old. Also, you need to read the INS Standards of Practice 2016 on Phlebotomy. This standard contains reserach through 2014. A literature search would be needed from 2015 to now to see what is new beyond the 2016 INS SOP. This standard is multiple pages so can't type the whole thing here.